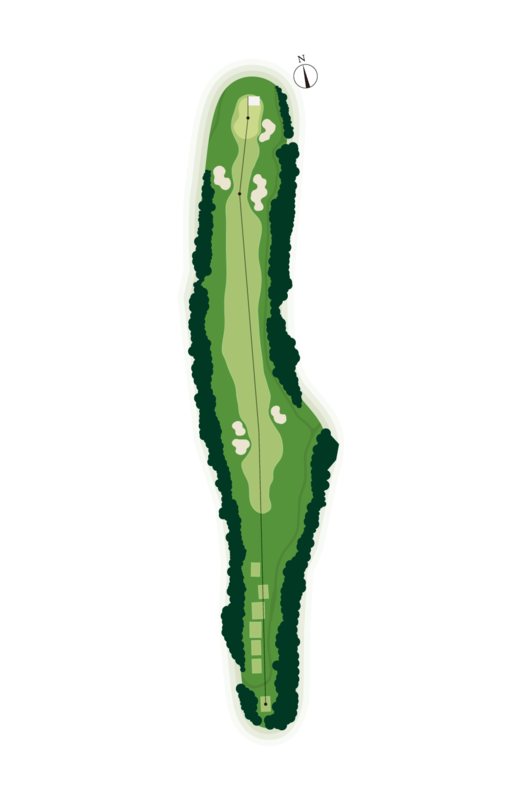 A straight yet long par-5. 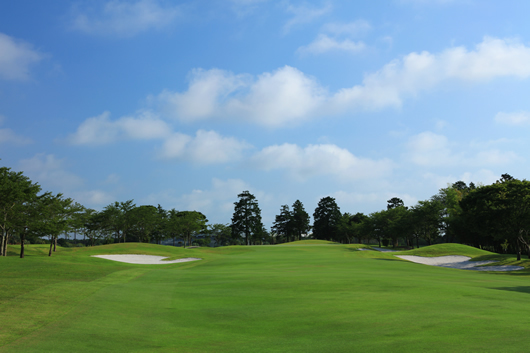 Tee shots are apt to result in the ball ending up in one of the two bunkers on the left side, so be careful. 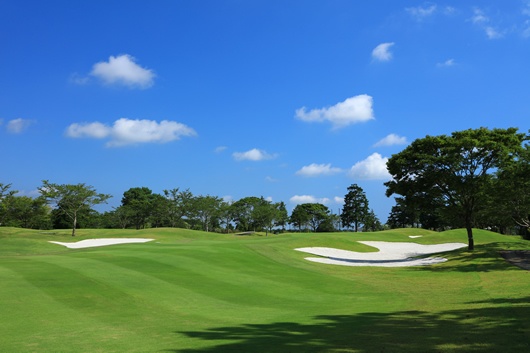 Although the fairway features heavy undulation, the key to success with your tee shot is to keep the ball on the fairway. The fairway also undulates at the point from which you will take your second shot, and there are uphill and downhill lies. It would be wise to avoid the bunker on the right side of the area from where you will take your third shot. You also want to avoid the bunker on the right side of the green.